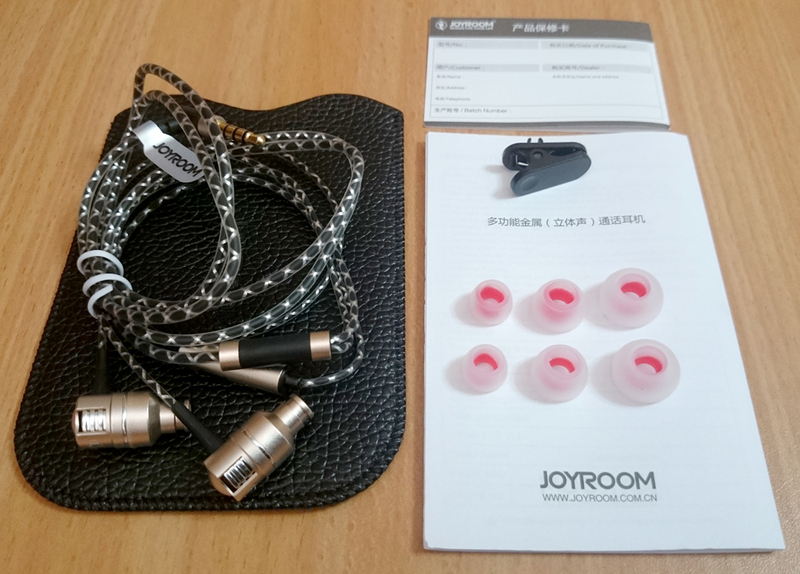 I've heard good stuff about Joyroom earphones, and decided to try some of them. 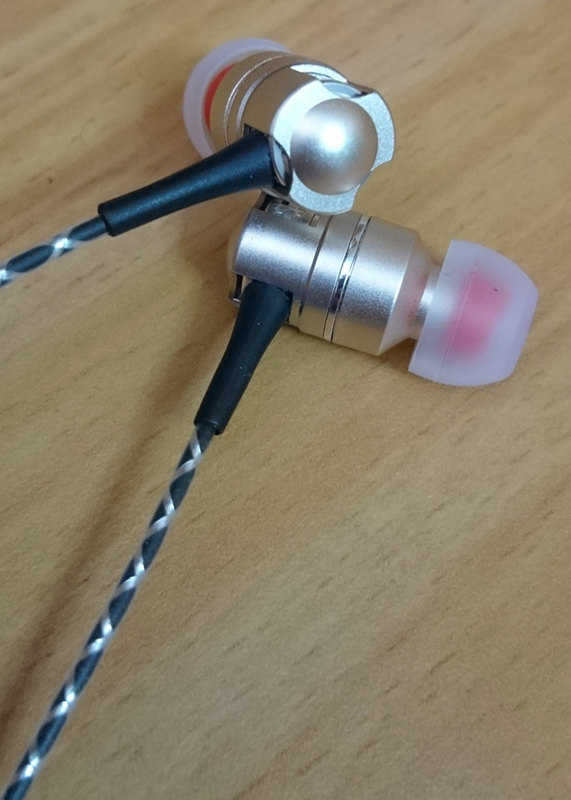 The first one to try is their newest earphones to date: JR-E109. 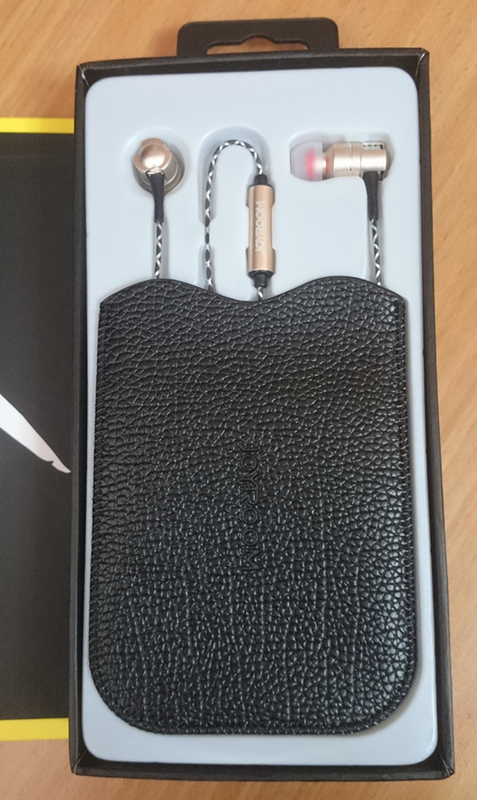 I've got to admit, the feedback was true - Joyroom did an excellent job with these earphones. Massive bass depth and quality, gentle but present mids and detailed and vivid highs, even if somewhat colored and not exactly audiophile-friendly. 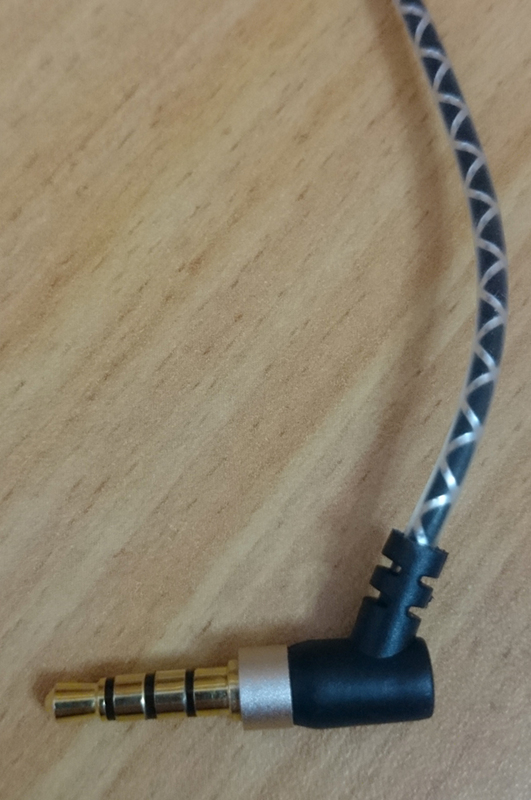 And let's not forget the design - the metallic housings and the awesome lined cable with a metallic effect are pretty stylish. 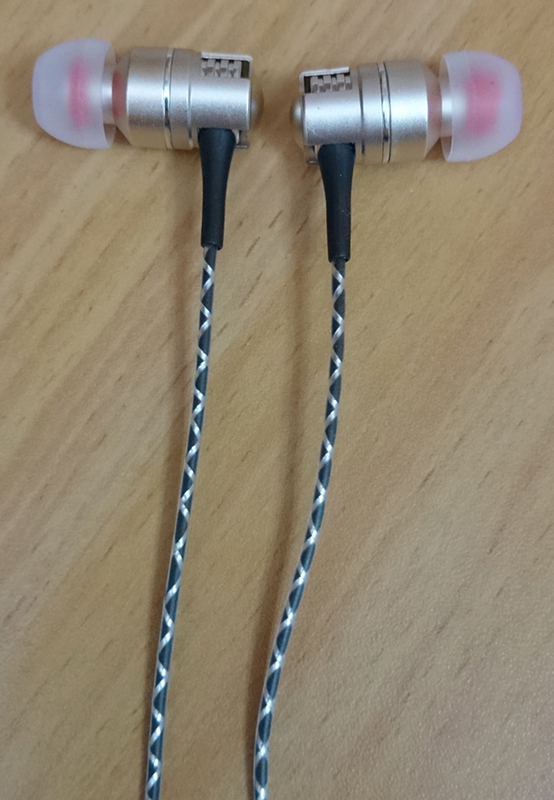 Amazing earphones to own! 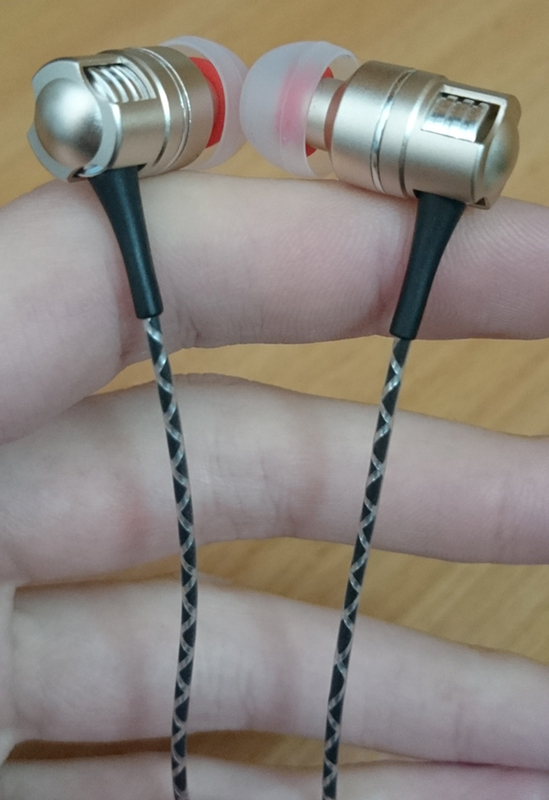 These earphones share similarities in sound signature with BYZ K30, Winintone RG-EB601, boarseman KR49i and many other great earphones. Insane bass quality and depth, and loud and crisp highs. The mids are decent as well. The darkish sound signature affects the mids, which are already recessed as it is, when it comes to clarity. 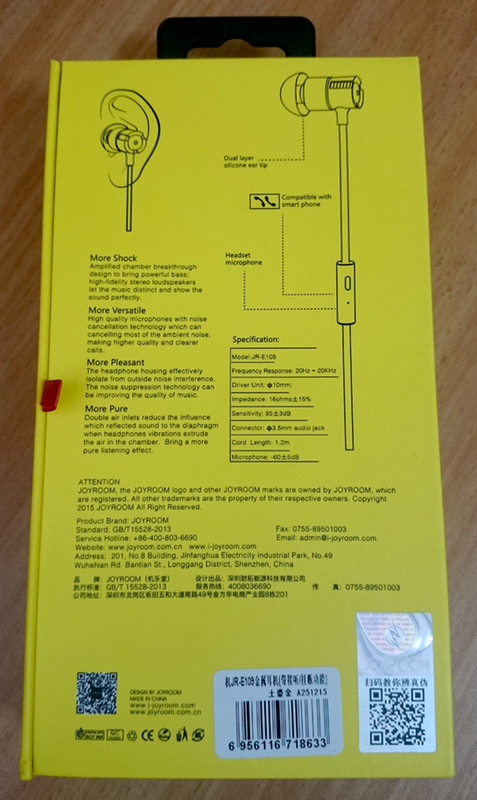 The cable was folded tightly inside the package. Never do that. 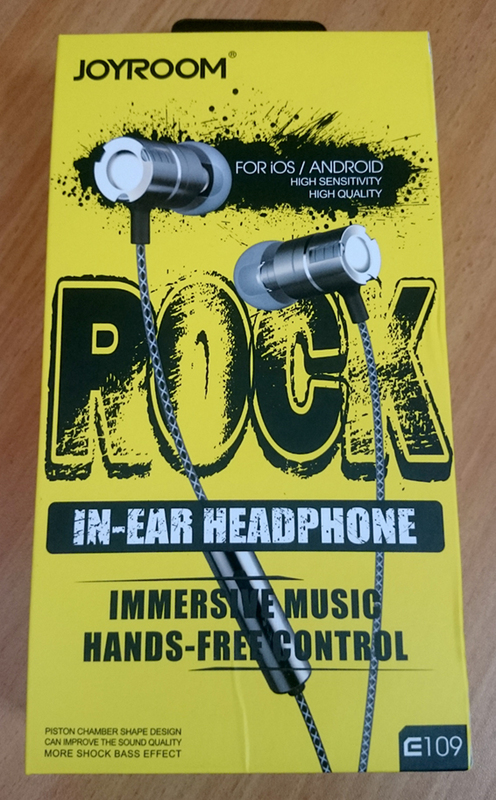 The included tips are excellent, they provide comfort and a perfect seal, and hold the earphones in place firmly. The bass of these is loud and gets very deep. The sub-bass is simply amazing. Mindblowing. Flawless performance for electronic and dance music. The mids and vocals are darkish and filled with mid-bass, and are very noticeably recessed compared to the highs, creating a more prominent V-shaped sound. Sibilance occurs quite often because of emphasized highs. The mids are rather darkish in tone and appear to be somewhat harsh. The highs are crisp and loud, perhaps even too loud. The highs tend to cause some sibilance on vocals, but mainly on above-average volume. Overall, these highs are energetic and enjoyable, but offer nothing special in terms of clarity or detail.